Northborough – Betty A. (Johnson) Tetreault, 84, died Sunday Feb. 27, 2011, surrounded by her loving children, at UMass/Memorial Healthcare Center (university campus) after emergency surgery. She leaves her former husband, Frank Tetreault, and her children, Frank Tetreault and his wife, Kathleen, of Arlington, Va.; Janice Ferenchick and her husband, Richard, of Northborough; Shirley Tetreault of Northborough; Kevin Tetreault and his wife, Susa, of Northborough; and Keith Tetreault and his wife, Debra, of Hubbardston. He also leaves his sister, H. Louise Johnson of Texarkana, Texas; 13 grandchildren, six great-grandchildren; and nieces and nephews. She is predeceased by a sister, Doris Staniunas. Born and raised in Northborough, the daughter of Carl and Bertha (Beauregard) Johnson, she was a lifelong resident. She graduated from Northborough High School in 1944 and from Quinsigamond Community College in 1980. Mrs. Tetreault was employed at Digital Equipment Corp. and retired in 1992. She later worked part-time at several local businesses. Inspiring all who knew her, she was an energetic, knowledgeable and dedicated volunteer, with a wealth of knowledge concerning Northborough history and gardening. Gardening was her first love, but she also enjoyed quilting, sewing, basket weaving, ceramics, arts and crafts and spinning. Mrs. Tetreault was an active member of the following groups until her death: Massachusetts Horticultural Society; Tower Hill Botanical Garden; Northborough Garden Club, where she was vice president for three years; town beautification committee, developing and maintaining several town garden plots, including the Watson Butterfly Park which she founded in 2000; National and New England Hosta Society, School House Quilting Guild; Northborough Alumni Association; Audubon Society; and Northborough Historical Society (Board of Directors). In addition, she was a former member Northborough Citizens for Community Preservation, a founding member of Northborough Recycle Committee and the Northborough Trails Committee, a volunteer reader for Northborough grade schools, and a member of Trinity Church, Friends Northborough Dog Park and the Shrewsbury YMCA Aerobic Swim Group. In 1938, she was the winner of the Worcester Telegram & Gazette Spelling Bee. 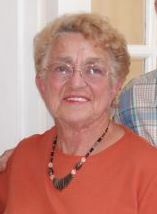 She was honored as Grand Marshal for the Northborough Applefest Parade in 2006. Tower Hill featured her garden in their annual garden tour, with her collection of more than 300 hostas, in 2009. She was active with her extended family, enjoyed her son&apos;s alpaca farm and was an avid Scrabble player. She was known throughout town and took her beloved dogs, Hector and Louie, everywhere. Funeral services will be held Thursday March 3, at 10 a.m., in Trinity Church, 23 Main St. Burial will follow in Howard Street Cemetery. In lieu of flowers, memorial donations may be made to the Northborough Historical Society, P.O. Box 661, Northborough, MA 01532; Northborough Recreation Department, 63 Main St., Northborough; Northborough Garden Club Scholarship Fund or School House Quilters Guild of Shrewsbury. For online condolences, please visit www.haysfuneralhome.com.